A stylish accessory for the real Na´vi buff! 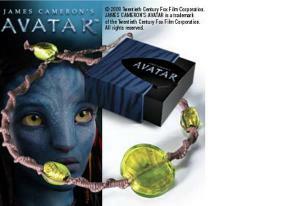 Straight from James Cameron´s ´Avatar´ comes this amazing choker of Neytiri. An attractive collectors box made from cardboard is within the scope of supply.